Whey too much of the same? How to make your whey protein taste great and different every time! It’s been cold outside, so I haven’t been running much lately. But I’m building up my music collection in the mean time and will be back soon with new and exciting playlists. I don’t know about you, but I drink a protein shake every day. I buy the giant tubs to save money and while I do enjoy vanilla flavor, it gets really old really fast and I end up having to chug a drink that I don’t like until the tub empties out – which is a long time! There is a new protein supplement on the market. The only one that allows you to customize the taste of every shake. Have you ever bought a giant tub of protein, and got sick of the flavor 3 scoops later? CustomWhey lets you flavor every scoop the way you want. The protein comes unflavored with flavor packets on the side so every shake can taste different! Its the only supplement of its kind. Not only can every shake taste how you want,but because the protein comes unflavored, its great to bake with and and you can make protein pancakes with without ruining the flavor of what you are preparing. Every tub comes with its very own cooking with whey cookbook. The protein itself is sourced from the finest protein manufactures from the US and New Zealand. I already ordered mine! I can’t wait to use it! Can you believe this?! the running playlist site has been around for over a year now! This is the second Halloween running playlist I’m posting. Very exciting!! This year, I thought I’d change things up a bit and instead of reposting oldies but goodies like “the monster mash” and other “traditional” Halloween songs, I’d do something different. This running playlist is about the characters of Halloween: Monsters, Witches and others who didn’t get their fair share in last years Halloween running playlist. This running playlist is almost 42 minutes long and is pretty fast, averaging out at 151 bpm. Watch out for the 198(!) bpm song I hid somewhere in the playlist, it will definitely give you a good scare and get your heart pumping. I’d also appreciate it if you “like” this post on Facebook or “+1″ it if you are on Google+. I added some new songs to my personal running playlist lately, and I wanted to share them with you. You may have seen a few of them before, but most of them are brand new (to me at least). This one is a relatively short playlist, at 37 minutes, and it’s great for a short fast run. Btw, Did you catch Rihanna’s performance last night on american Idol? I can’t say I’m a big Rihanna fan, but she was really good!! I’m also trying something new today: if you want to get the entire playlist, just click the button below. Let me know if you like this feature and I’ll try and incorporate it in future playlists I put together if there is demand for it. One last thing. Japan is really suffering right now, so if you want to help and get some music in return, check out the above banner. I know, it’s Saturday today and I’m a day late with the running playlist of the week. The reason I’m late is that yesterday, I went to NYC to attend the Born to Run “Cabaret” event. Anyway, it was great and I’m back now to share with you the 80′s running playlist of the week! The 80s was a great decade for music. I don’t think there will ever be a market for 90s cover bands or god forbid cover bands for the 2000′s and 2010′s (unless you include the TV show Glee in this and then all bets are off…) but 80s cover bands and 80s music is alive and well in our hearts and ears. There were a ton of great songs I could have added to this list, and I might do a second post of an 80s running playlist some time in the future, but I tried to pick some interesting songs that we all know and love with a good BPM for a running playlist. This list is 1:02 hours long, so it will give you plenty of time to have fun and reminisce about the good old 80s. And now, here’s the list. Please retweet/like this post if you enjoyed it. What do bell bottoms, mood rings, disco and Saturday Night Fever have in common? That’s right, they are all cultural icons of the 70′s. The 70s music definitely had its charm, and while Disco did die with that decade, it will always live on in our hearts and iPods and now, it can also be part of our running playlist. Per request of one of my readers, AnaIsabel, I put together a list of some great songs from the 70′s that would be great for a running playlist. The list below is 1:15 hours, and has an average BPM of 131, so it will allow you to run at a good tempo. Y.M.C.A. 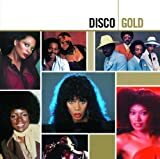 03:45 Village People 127 Disco Gold Dance & DJ Y.M.C.A.